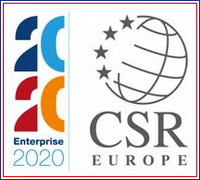 Enterprise 2020 Summit is a important opportunity to engage and network with CEOs, high-level EU officials and thought leaders in the investment sector, the Summit will bring together the people and ideas to shape the future of business in Europe. The Summit will be a high-level forum to discuss, debate and inspire the most innovative approaches to Corporate Social Responsibility. The events agenda.